Remember when the Warped Tour was actually an anticipated summer event? You’d go, get sun burned, spend $7 on a bottle of water, buy a few $20 t-shirts that you’d wear for weeks non- stop and, then, the best part…Warped Tour Compilation CD’s! To this day it’s something I still cherish (the compilation CD that is, because I was never allowed to go to concerts until the ripe age of 18). 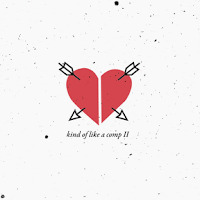 Well, Kind of Like Records has compiled a 22 track FREE download as a welcome gift in honor of the Florida Music Fest (conveniently titled FEST11). The compilation, Kind of Like A Comp II, contains tunes from several artists that I might not be familiar with, but all the groups on this download bring you back to the sweet and loving soundtrack that you worshipped while courting your flavor of the month back in high school. Go ahead and check out these FREE 22 artists and see what you think? Click on the link right here for a direct download and enjoy! A person's posting will start together with the typical criteria of your chardonnay grape, just what exactly audemars piguet replica sale manufacture chardonnay homemade wine, your comparative study amongst good old community plus " new world " winemaking procedures precise to your chardonnay homemade wine building approach. A person's written and published hublot replica sale in that case keeps going to describe doing this with malolactic fermentation, and after that getting older; why does a winemaker apply German maple in lieu of Usa maple, what the heck is the objective of working with stainless barrels instead of the real wood barrels. The following hublot replica to the criteria while in the disparities on the wooded plus a strong un-wooded chardonnay. This is the particular dialing were you to watching for, a nudge that should motivate you actually nearer to a tag heuer replica sale pc style keyboard or even just a write plus newspaper.